Cathy and Andy got married at Deer Park Hall in Worcestershire and hosted their wedding reception at the same venue. I had spent all morning with Cathy and her bridesmaids who were getting ready at the Wood Norton Hotel, near Evesham in Worcestershire. During our pre-wedding consultation, I made sure that there was enough time between Cathy getting in her wedding dress and leaving for the wedding venue that would allow me to arrive 25 or so minutes before she did. In this time, I always meet with the registrars to introduce myself if I've not worked with them before (or to say 'hi' if it's an old friend like it usually is!) 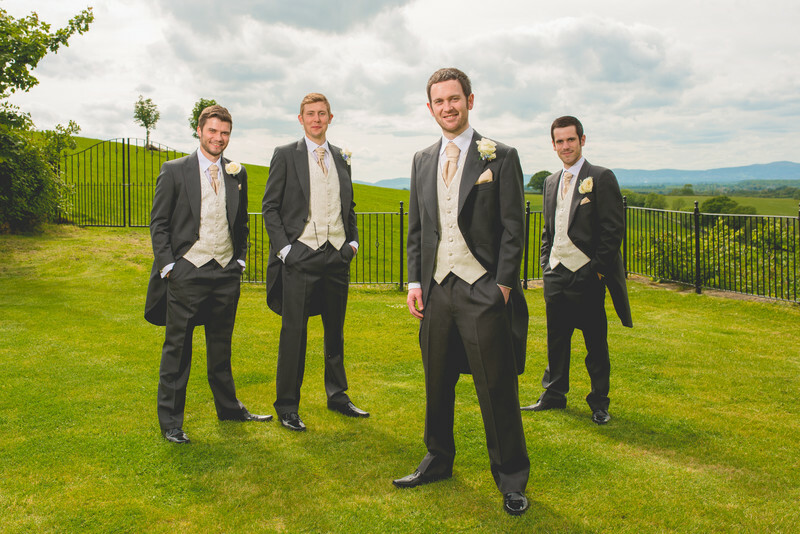 This time is also used to take any photos of the venue, guests arriving, but more importantly, the groom and his ushers or best men. I took this photo of Andy looking rather cool on Lamb's Leap Lawn at Deer Park. You can tell from the shadows that the summer sun was beaming down, so in order to get the correct exposure I used a hint of fill-in flash to lift the shadows. Soon after I had photographed Andy and his ushers, Cathy arrived ahead of schedule at the back of Deer Park, ready to meet with the registrars before the wedding itself. 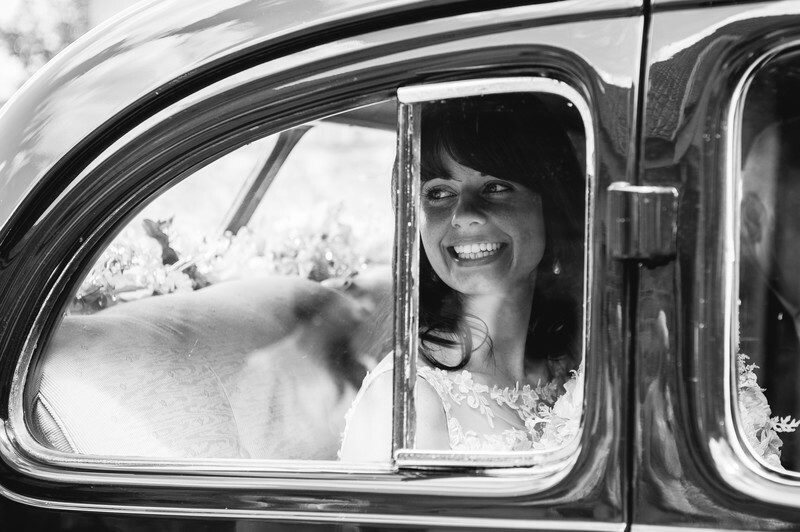 She was in fact so early, that she was made to wait in the wedding car to allow time for all of their guests to take their seats!